Happy Valentine’s Day weekend! What can be more romantic than a little self-loving this valentine’s day? Since being a mommy I find that I hardly have time to dedicate to just ME anymore, and I am definitely in need of a little pampering session! 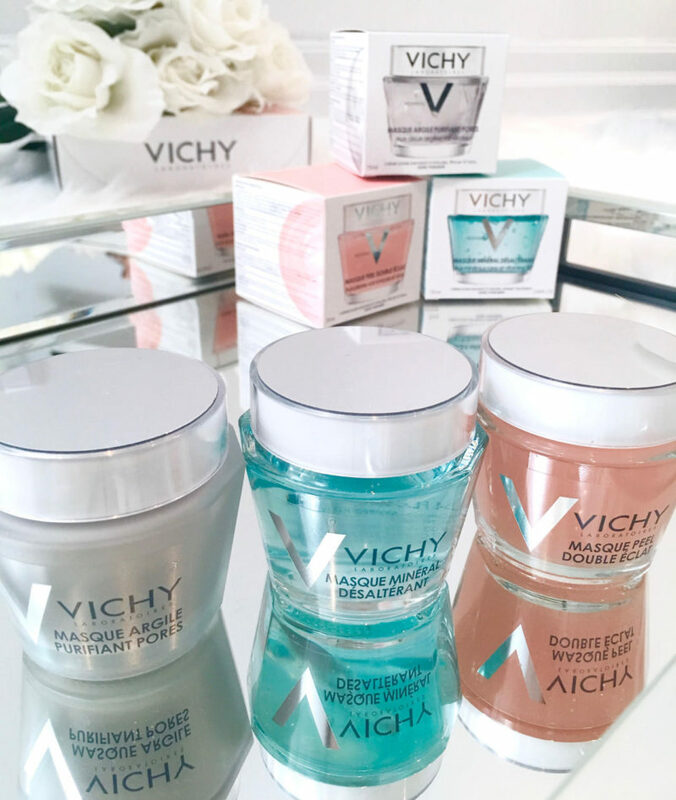 These Vichy masks are the perfect presents to myself and since I got it I cannot wait to try them out! 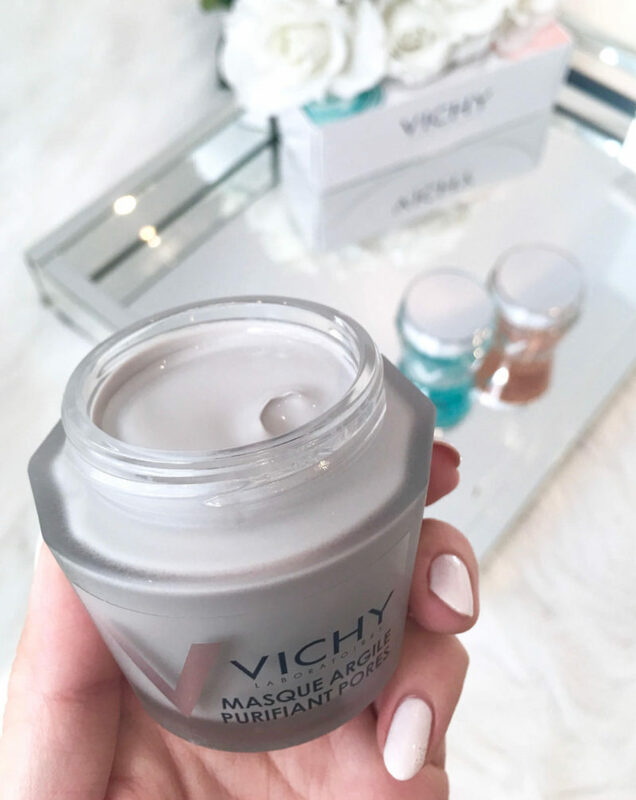 The Vichy Masque Argile Purifiant Pores, or the Pore Purifying Clay Mask contains Kaolin and Bentonite Clay, which are pore-cleansing properties to help draw out impurities from your pores. 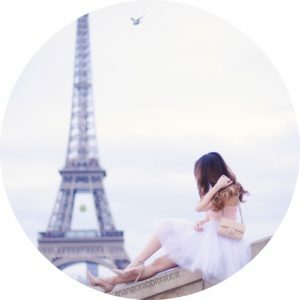 Although Vichy states that it can be used for all skin types, I find that clay masks in particular does WONDERS for oily or combination skin. My all time favorite clay mask is the Kiehl’s Rare Earth Deep Pore Cleansing Masque, but I find that it tends to dry out VERY FAST on the skin, as well as the in the tub once it’s opened. The Vichy Clay Mask is thick and dries on my skin slower, so I have more time to spread the mask evenly around my face. It also doesn’t make my skin too tight and taut which is a plus. The clay mask works by extracting impurities from deep within the pores to the surface, and is trapped within the mask and gets washed off. I rinse it off after 10-15 minutes with warm water, and my face instantly feels cleaner and less oily. It doesn’t give off a squeaky clean feeling compared to the Kiehl’s mask, and my skin feels more hydrated afterwards. I recommend using this mask once or twice a week depending on your skin type. Combination skin people can also use this along the oily areas and T zone of your skin! 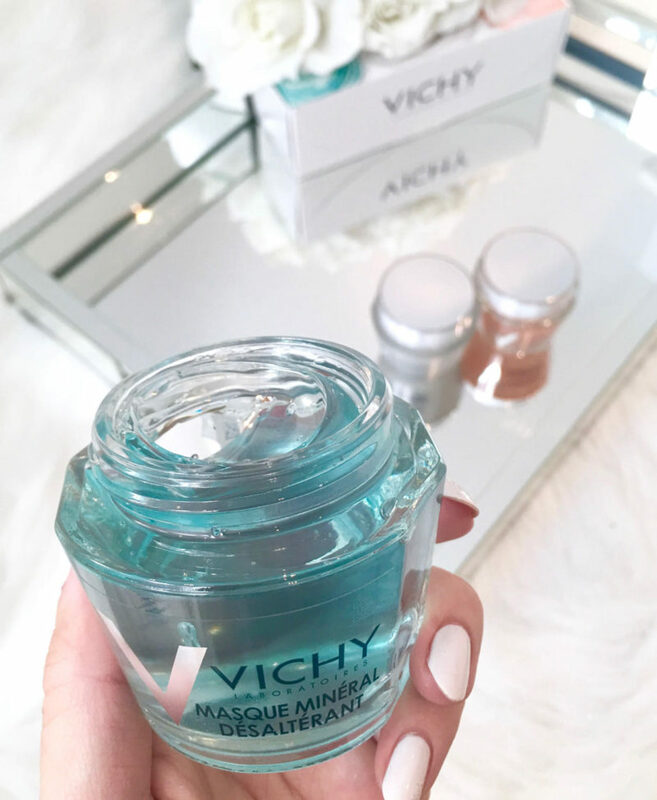 The Vichy Masque Mineral Desalterant, or Quenching Mineral Mask reminds me so much of the Laneige Water Sleeping Mask which is super huge in Asia. Just like the Laneige mask, you can choose to rinse off after a few minutes or let it sit in your skin overnight for that boost of hydration. It smells super calming with Jasmine and green tea, and I popped this in the fridge before using it so it’s extra cooling (which seals your pores!). I sometimes also use this mask after the Clay mask to replenish and hydrate my skin. I always wake up in the morning feeling super refreshed and my skin feels softer and less dry! 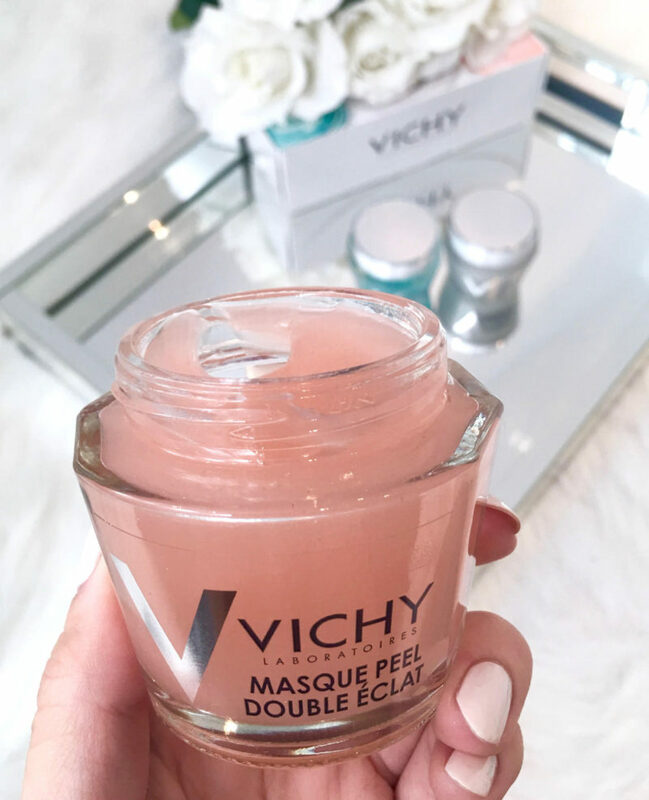 Lastly, the Vichy Masque Peel Double Eclat, or the Double Glow Peel Mask is my favorite! It smells like peaches and is so refreshing. It also contains AHA (similar to the Mizon AHA Peeling Serum, which is one of my favorite serums) which my skin just LOVES AHA for some reason. 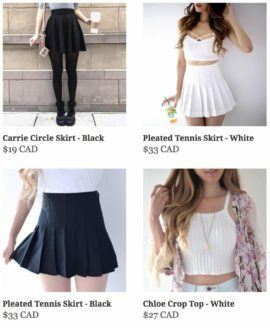 I live in the dry Canadian climate so my skin, while being super oily, is sometimes flaky around the cheeks. This mask gets rid of all the dry patches and the vitamin C brightens my complexion after a few uses. Love, LOVE this mask! What are some of your favorite skin masks this season? Do share!